Thank you for taking such wonderful care of my mother and helping her out with moving her car from NC to MN. I am very happy to know she was not taken care advantage of and was offered a great service! Thank you! will help you understand the way you need to use a broker to ship your car. Small sedan / Hatchback – 50-75 cents per mile. Med size sedan – 50-85 cents per mile. Truck / SUV – 0.75-1.5 dollar per mile. VAN / Big truck – 1-3 dollars per mile. As you can see there is no exact answer to “how much does it cost to ship a car?” Same car, same place, different season can mean a different price. To ship a car from New York, NY to Los Angeles, CA is about 2800 miles – 2800*0.5+100=1500$ (miles*cents+broker fee) However, since it’s a well traveled route the price will drop down to $1100-$1300. To ship a car from Barre VT to Casper WY will be around the $2000-$2400 (Based on winter 2018). Even though that based on the numbers above it should have been 2100*0.5+100=$1250 only. Its’ a 2100 miles route (700 miles less than Los Angeles to NY) But both locations are off route and have no regular shipping routes. Also during winter both of those location filled with snow, which make car shipping even more difficult and expensive. 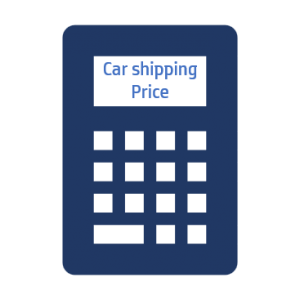 How much does it cost to ship a car, it may seem, is a complected question to answer in general and must be answered per the customers needs . 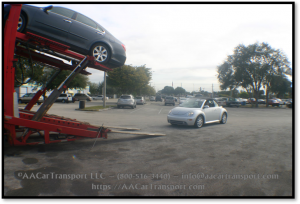 If you would like to know how much does it cost to ship YOUR car please fill out our get a quote form; we will be happy to help you out with your vehicle transport needs.